Which finance option is best for your business? Financing your business equipment can bring many benefits including, streamlining your cash flow and helping to reduce your operating costs with new technology. There are many finance options available to help your business secure new equipment. 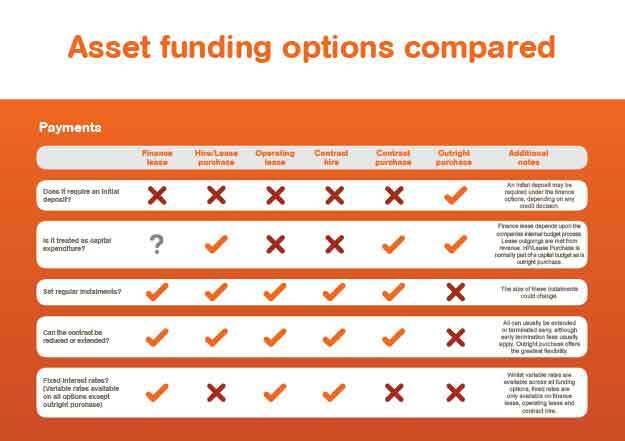 To make comparing finance options easy for you, we have put together a handy reference table. By Catherine Dawson|May 27th, 2015|Comments Off on Which finance option is best for your business?